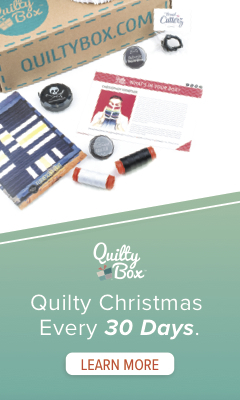 Indiesew: For Cyber Monday, save 20% on all fabric and patterns with code found on the Indiesew blog. Use between 8 a.m. and 10 p.m. MST on Monday, November 28 to receive the discount. Collections and gift cards excluded. Oney Girl: Friday through Monday, all yardage will be $7/yard and preorders will be discounted by 20%. Also enjoy sales on patterns, notions, and Tula Pink hardware. Pink Castle Fabrics: 30% off bundles with code BUNDLE30 plus 40% off MSRP on the Janome 14000! Stash Fabrics: Save 20% today through Monday with code THANKFUL4U, plus earn an extra $5 gift certificate for every $50 spent on gift certificates. WHEW! There are likely to be many more deals as the weekend goes on (as of Thursday morning, some shops haven’t yet posted their discounts). If you know of any that aren’t listed here, please leave them in the comments below! Happy Thanksgiving, and good luck with your shopping endeavors! 3 Comments on 2016 Black Friday Fabric Sales Are Here! Hi Vikki, I’m not sure why that is. The information I have listed is what Stash provided me. Bolt & Spool (boltandspool.com) has 25% off everything through Cyber Monday! Use code SmallBizSat16 at checkout!